Milko Kelemen studied with Olivier Messiaen in Paris and with Wolfgang Fortner in Freiburg. He then worked at the “Electronic Siemens-Studio” in Munich. Already in 1959 he founded the “Zagreb Biennale,” of which he was President during the early 1960s – today he is its Honorary President. From 1970 until 1973 he was a Professor at the Robert Schumann Institute in Düsseldorf. Between 1973 and 1989 he was Professor of Composition at the Stuttgart Academy of Music and the Performing Arts. With C. G. Jung as his point of departure, Kelemen underpins his musical language with philosophical thoughts. I´ve come to appreciate him more recently. There´s quite a lot of variety found in his works, though some of it can sound rather granite in the beginning. Sorry to hear this. 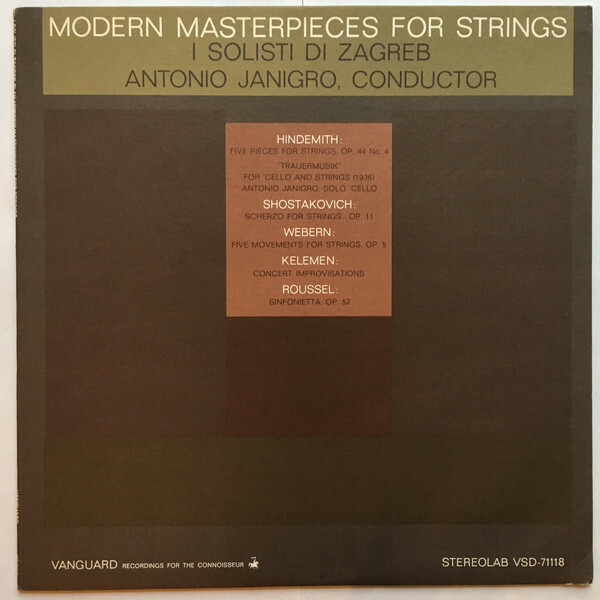 Kelemen was part of a seminal recording when I was growing up, Modern Masterpieces for Strings with Antonio Janigro and I Solisti di Zagreb, and includes Kelemen's Concert Improvisations. I haven't heard it in years, but recall liking it a lot. The recording included Hindemith, Shostakovich, Webern, and Roussel -- my first encounter with any of these works. Here it is - indeed really nice. But clearly in his "first manner". Sikorski doesn' even mention that early symphony; nor these Improvvisazioni Concertanti. Bartok, Honegger and Frank Martin could have been examples. Attention: the first movement of the Roussel Symphonietta has been copied aswell. I've liked everything of his that I've heard--I've bought everything of his that I ever found. Some new stuff mentioned here, so that will be a treat to hear. Sad to hear he's died. Only 94.